ILR's 2009 celebration of the School and its network of dedicated alumni and friends - the Groat Alpern Celebration - took place on March 26 at the Pierre in NYC. Guests numbered over 350 this year for ILR's biggest annual alumni event. The new event and awards presentation format - reception buffet style - was conducive to the informal conversation that is hallmark of the ILR network in action. We congratulate our awardees and thank the selection committees. We extend thanks to all of our guests and especially thank our donors and sponsors for making the event possible. 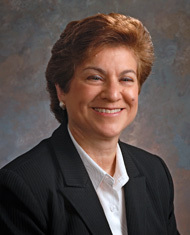 Bonnie Siber Weinstock is a labor and employment arbitrator and mediator. She is a member of the National Academy of Arbitrators. She is also on the arbitration panels of the American Arbitration Association, the Federal Mediation and Conciliation Service, the National Mediation Board and numerous state and local panels. She has a nationwide practice and arbitrates in a variety of industries, including airlines, hotels and restaurants, health care, education, service, publishing, government, entertainment and manufacturing. Bonnie is a former Member of the Port Authority Employment Relations Panel. Bonnie is recognized as a superior mediator known for her intelligence and integrity. She received her JD and LL.M. degrees from NYU School of Law. Bonnie has served as a member of the ILR Advisory Council and the President's Council of Cornell Women. She is a founding member of the Advisory Board of the Scheinman Institute, helping develop curriculum for arbitration training. She was ILR’s Jean McKelvey Neutral-in-Residence during the 2005-2006 academic year and had previously served on the fund raising committee for this program. For many years she has taught extension courses and regularly invites students to attend arbitrations with her. She additionally mentors individuals who are interested in developing arbitration practices. Doug Braunstein is the Head of JPMorgan's Investment Banking division, having served previously as Head of Investment Banking Coverage since 2002. He is currently a member of JPMorgan’s Executive Committee and the Investment Bank Management Committee. As a strategic advisor, Mr. Braunstein has worked on numerous transactions with aggregate transaction value in excess of $750 billion. In addition to his advisory work for clients of the firm, he also led the advisory team for JPMorgan Chase's merger with Bank One and the recent acquisition of Bear Stearns. Mr. Braunstein received his J.D. from Harvard Law School in 1986. 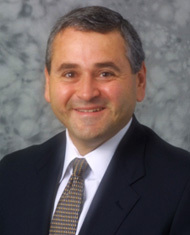 Mr. Braunstein is currently a Board Member of the YMCA of Greater New York, the Dalton School, and the JPMorgan Chase Foundation. Doug has been a leader to ILR as a member of the Dean's Advisory Council for the past five years. He has assisted ILR within the context of the University's Far Above...Campaign as a member of the University's Major Gifts Committee. He recently completed a four year term on the University Council. Informally, his commitment and dedication to ILR are greater. Always generous with his time and energy, he has provided guidance that helped shape our fund raising efforts. He was a featured presenter in the Workplace Colloquium Series last year, and has been described as an undergraduate who left a clear and positive impression. His road from ILR to Harvard and beyond has been one of impressive successes.